Exploring the dialogue between east and west, our group exhibition features the work of four artists brought together through their shared expression of the technical skill and spirit of the oriental arts. Exploring the dialogue between east and west, our group exhibition features the work of four artists brought together through their shared expression of the technical skill and spirit of the oriental arts. Through their craft, Tim Andrews, Adam Frew, Hendrike Barz-Meltzer and Nao Fukumoto O'Neill explore the rich aesthetic of the Far East, which continues to infuse western contemporary craft. With a long well established career in ceramics, Tim Andrews is renowned for his raku pieces. His attention to form and surface is evident in the powerful presence of his vessels. 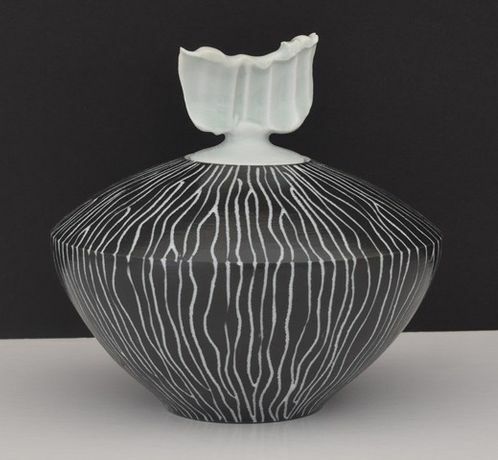 Limited colour palettes and linear decoration provides the basis to play and explore the interaction between controlled and expressive techniques in the firing process. Continuously evolving, Tim's pieces explore the religious, aesthetic, cultural relationship between the east and west. Experimentation is equally central to Adam Frew's work on the potter's wheel, achieving personal expression through the energetic and often intuitive throwing process. 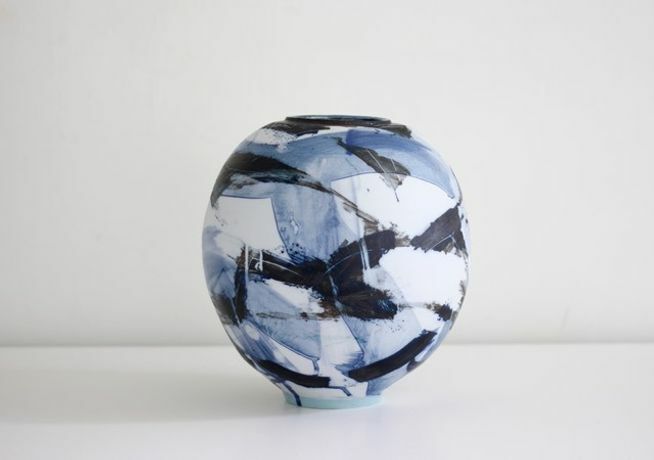 His Korean inspired pots or Moon Jars evoke the simplicity of the eastern form, while spontaneity dictates dynamic forms, colour and gestural brushwork. 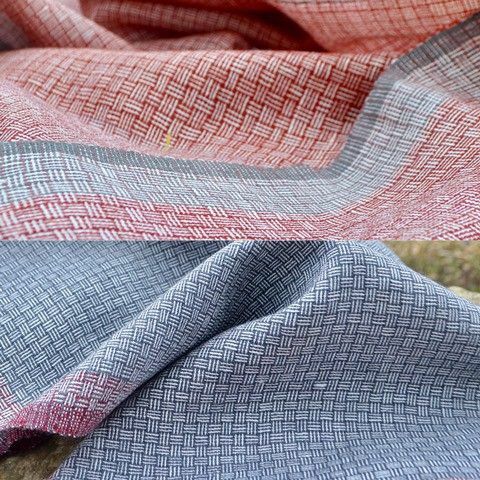 While ceramics are embedded in eastern tradition with an enduring appeal, so too are textiles. 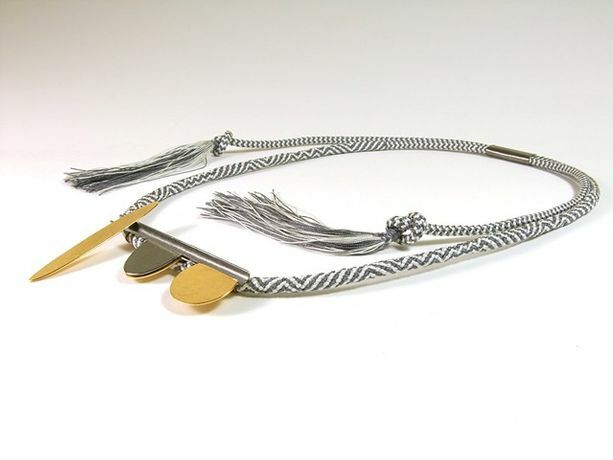 Hendrike Barz-Meltzer designs jewellery that experiments with an ancient Japanese braiding technique, Kumihimo. Her pieces evoke her interest in minimal contemporary design, combining the use of metals with the detail and tradition of silk braiding. Nao Fukumoto O'Neill explores Japanese tradition through her hand woven textiles, which she has developed to incorporate modern techniques and materials. From Kimonos to scarves and wall hangings, Naos' pieces convey variations of colour pattern and styles inspired by her travels and enhanced by her knowledge of natural dyes and production processes. Through the work of these four artists, viewers can explore the simplicity of eastern forms through skilled processes that evoke a timeless yet contemporary aesthetic.